STEM (Science, Technology, Engineering and Math) and History may be taught separately in schools, but they are really not so different after all. 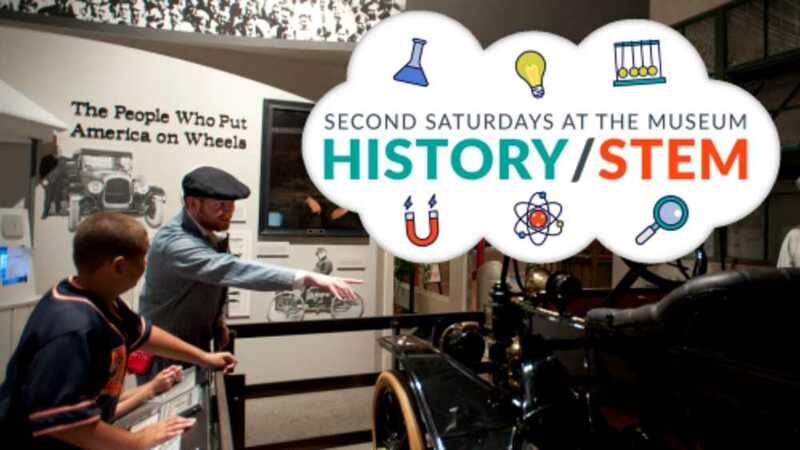 Science meets our human past in this series of Second Saturdays for Families programs. Each month, explore an exciting historical topic from our exhibits paired with a hands-on experiment or project. All supplies are provided and you get to take your project home. Have you ever driven across the Mackinac Bridge and wondered how it was built? It was an amazing feat of engineering. Today, join us in testing several bridge designs before exploring the history of the Mackinac Bridge in our Upper Peninsula Gallery. See all Second Saturdays for Families programs. Each Second Saturdays for Families program is included with museum admission. You can save on admission and receive other great benefits when you become a Michigan History Center member.